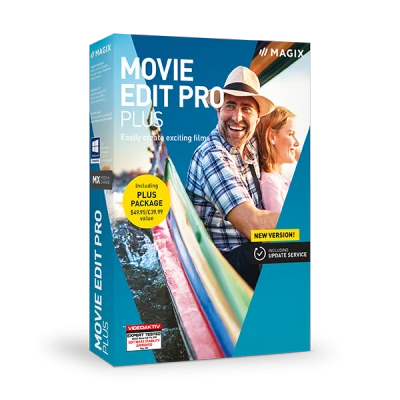 Download MAGIX Movie Edit Pro Plus and edit your favorite videos. Color correction, multicam editing and other unique functions enable you to turn creative, high-quality ideas into reality. Test Movie Edit Pro Plus for free and edit 2D footage as easily as 3D footage. You can toggle the preview monitor between different 3D formats and make 3D edits directly. Enhance poor sound and video quality with a click or edit effects and titles. Download Movie Edit Pro Plus for free and make your movie a blockbuster thanks to the stylish templates. Advanced dubbing: Dolby®Digital 5.1 mixer, etc. Edit your videos and present them online, on the go or watch them on your TV.